Hello blog friends! 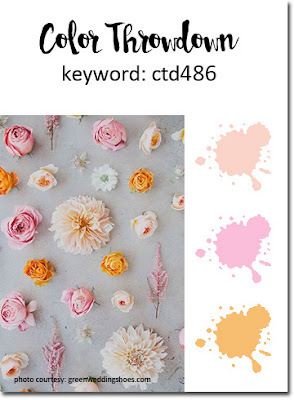 There's a new Color Throwdown Challenge and Lisa Henke has chosen such a pretty soft color combo for us: blush, pink and apricot! I was definitely inspired by the photo to create a floral background using stamps from Simon Says Stamp. 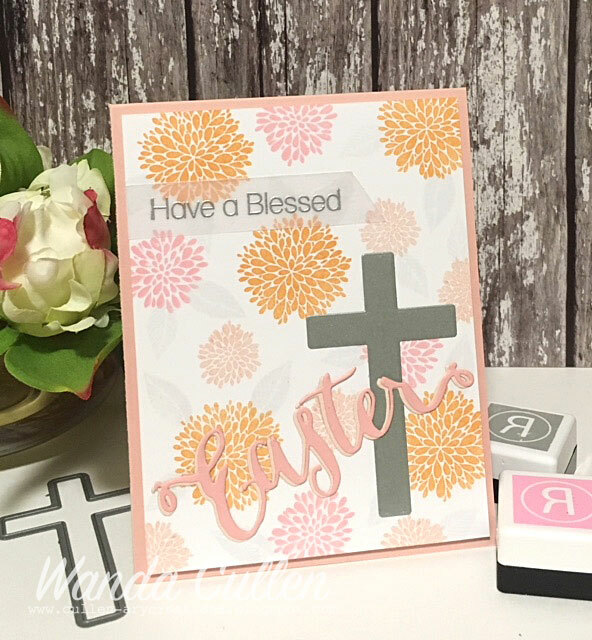 The florals are from their We Can Do This set and the sentiment is from the Rejoice stamp set with matching dies. Oops...unable to find the Rejoice set in the SSS store - ? retired set?